What&apos;s VIS? Standard B5 motor + VIS brake Standard B5 motor + VIS brake + gearbox unit Application example The VIS Atex brake is an innovative modular explosion proof brake unit. The new concept is to apply an indipendent brake unit to a standard B5 or different flanged explosion proof motor or to a transmission unit. 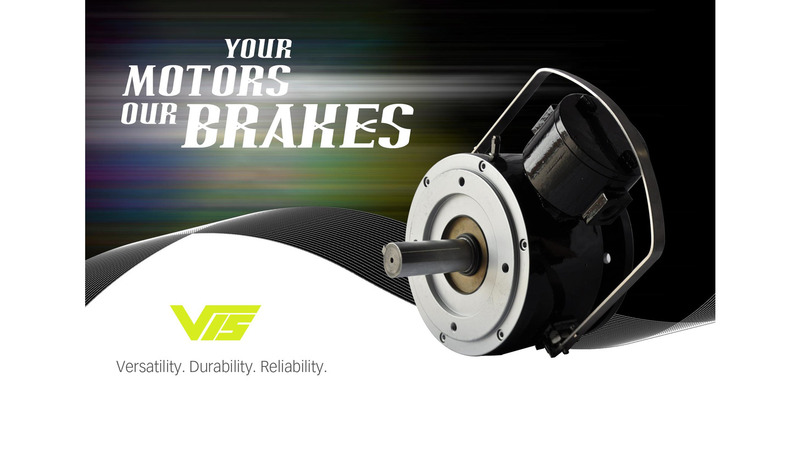 The VIS brake is certified as indipendent component. It means that there are not coupling procedures in order to define the certification. Why VIS? The VIS brake is available in B5 flange face to face version (IEC 63 to 280 ) or, on request, can be made with NEMA or special flanges coupling. The mounting is very fast. Choosing the VIS brake, it&apos;s very easy to make an explosion proof brake motor, reducing costs and delivery time. The performance of VIS brakes is very high and the strong structure makes them suitable for very hard duty and for every kind of application (hoisting, travelling, positioning...). Other unique characteristic, more than exhisiting ATEX brake motors is that VIS brakes don&apos;t need mainteneance as adjustment of gap and are guaranteed for a very long life. The braking torque values are included between 5 to 1200 Nm (depending on frames) and the electromagnets fitted inside the VIS brake can be AC three phase or DC. The cost of a standard explosion proof motor plus the VIS brake is considerably lower than an explosion proof brake motor and the delivery time and reliability are absolutely better.